I worked on a 12+ week project with the fine folks of Good Thinking ATL — we’re a diverse group of creative professionals, from designers to copywriters to developers, who volunteer our time and resources to provide services to non-profits who need it. I’ve been with these guys since April, and loved every minute of it. Not only do I get to meet and work alongside some awesome people, I get to do meaningful work, as well. 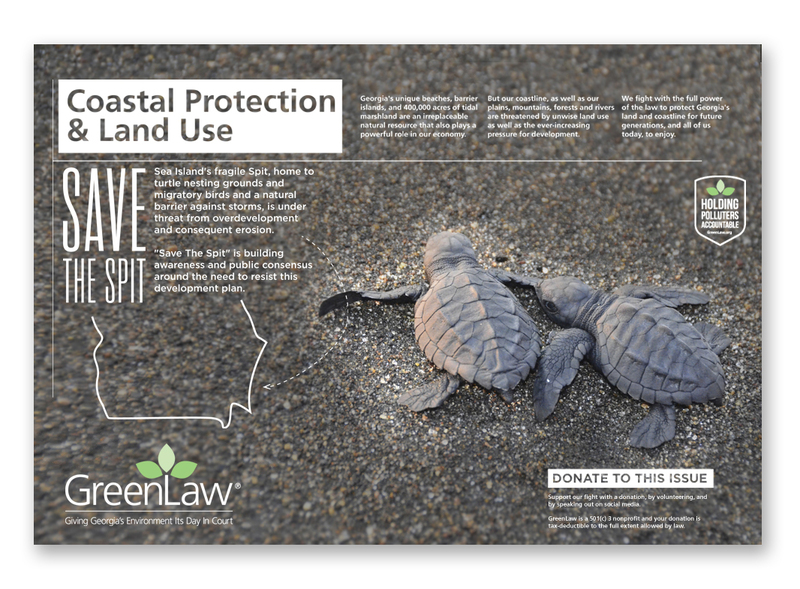 Our most recent project was working with GreenLaw, an environmental law firm. 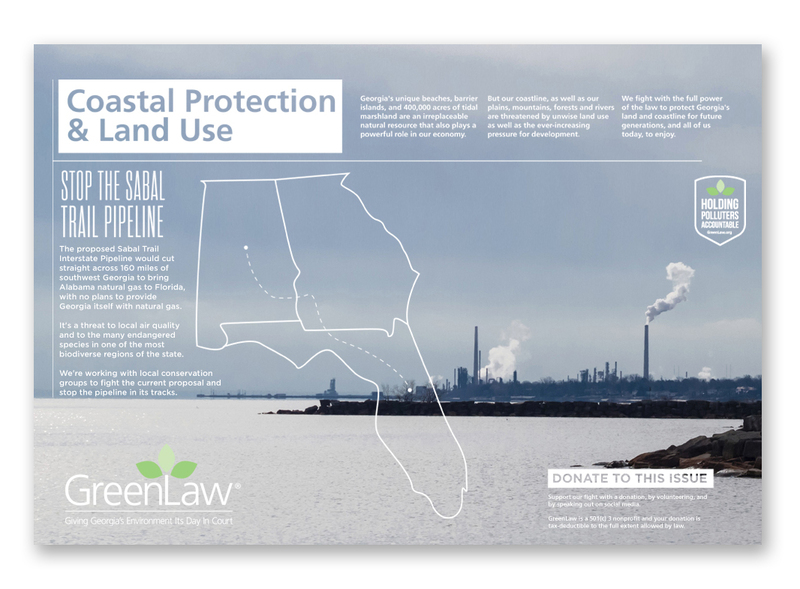 They have four major areas of focus: Land, Air quality, coastal protection, and social justice. The last one really stuck out to me—while most people I know tend to be pro-environment and do their part in recycling and reducing carbon emissions, what about people in tough socioeconomic circumstances who can’t defend themselves against coal plants coming in? What do they do if their livelihood is based on the land, and it’s being ruined? 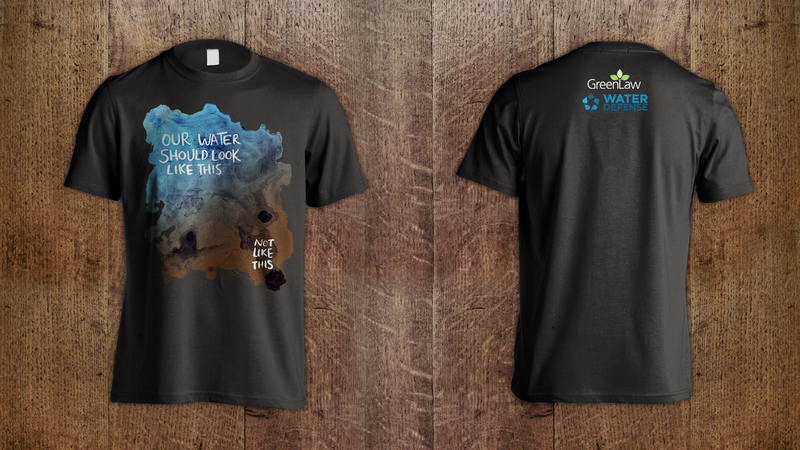 T-shirt Design: Meant to evoke a strong response when the inky blue water abruptly turns brown and thick. I kept the line work organic and roughed up, indicative of the nature and future we’re protecting. I probably spent two hours alone on getting the background wash perfect, swirling gouache and ink on a small pane of glass. The Pollution Map: I probably spent most of my time on this. 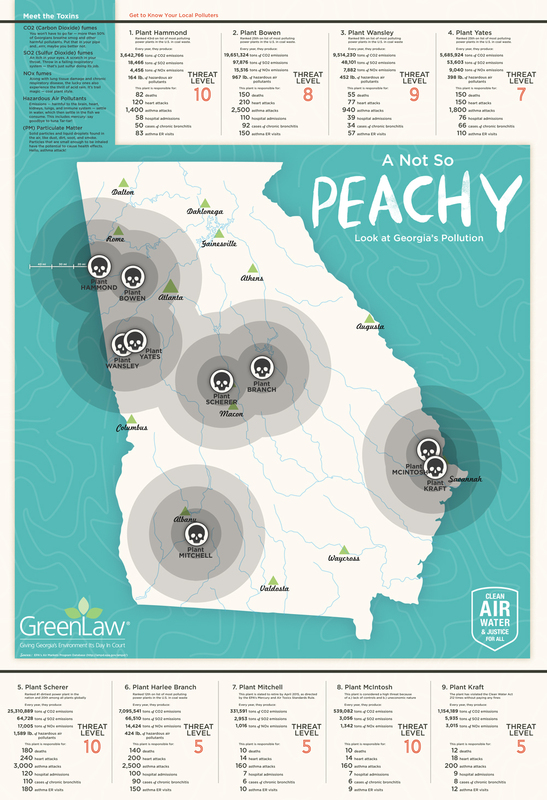 This map shows the whole of Georgia and identifies the major coal plants in the state, as well as a visual indicator showing how much their pollution can travel. You’ll notice there are several near Atlanta, and several near Savannah. The text at the top and bottom breaks down stats for each plant: how much illness and death we can attribute to each one, as well as how much this damage is valued. 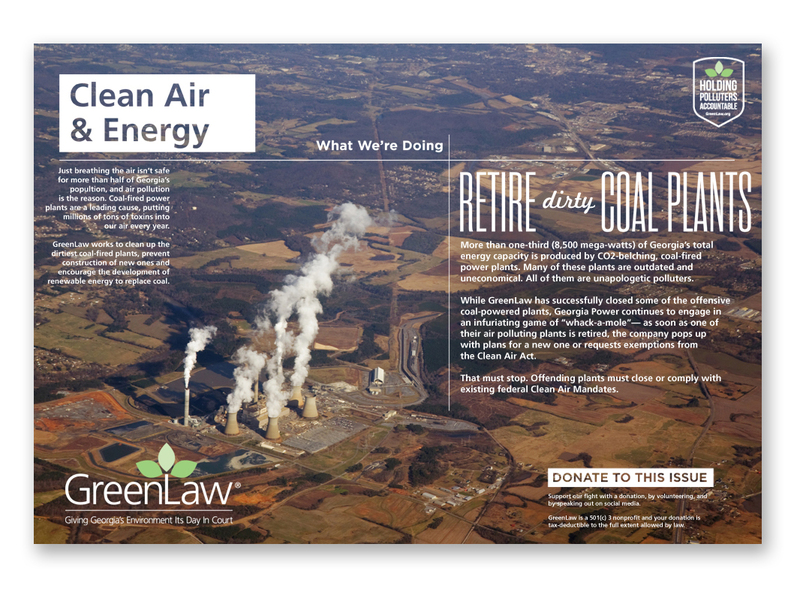 I then came up with a system to rank each coal plant by how much of a threat they were to people. I also wanted to include notes on what each chemical actually was and did to you—for instance, we breathe out CO2, right? How bad can it be? Turns out, CO2 is also used in labs to euthanize mice. We have to keep those levels low. 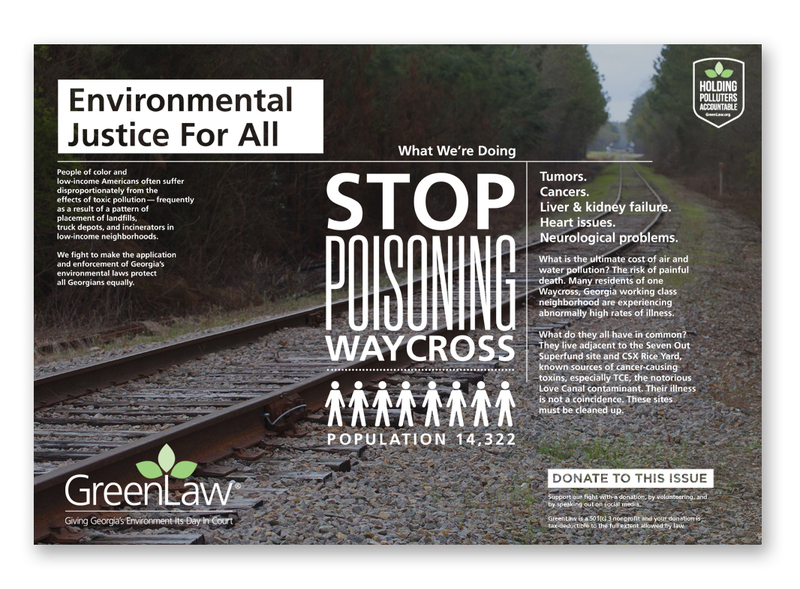 Sharegraphics: These were intended to be short and sweet recaps on each of GreenLaw’s areas of focus. Something you could tweet, share on Facebook, or email to a friend. 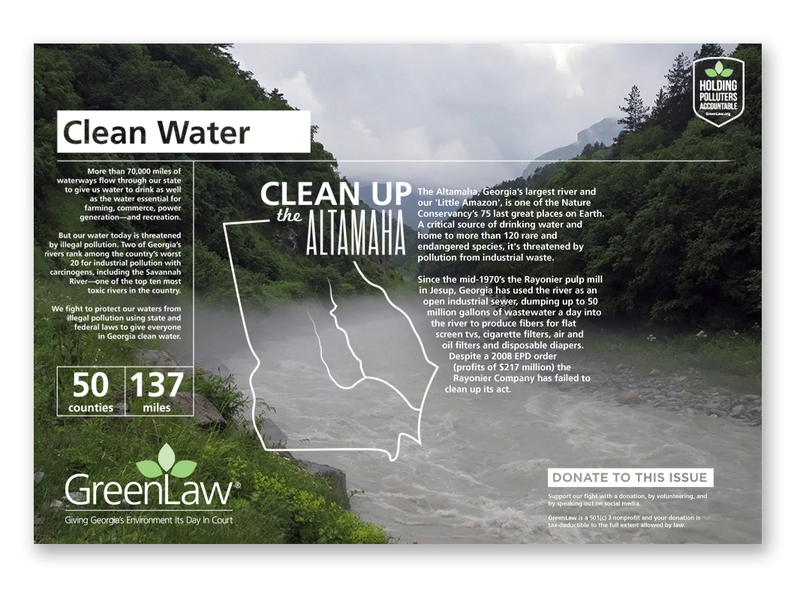 I wanted to include little maps and illustrations where necessary, while also including pictures that really show the work we’re trying to do. 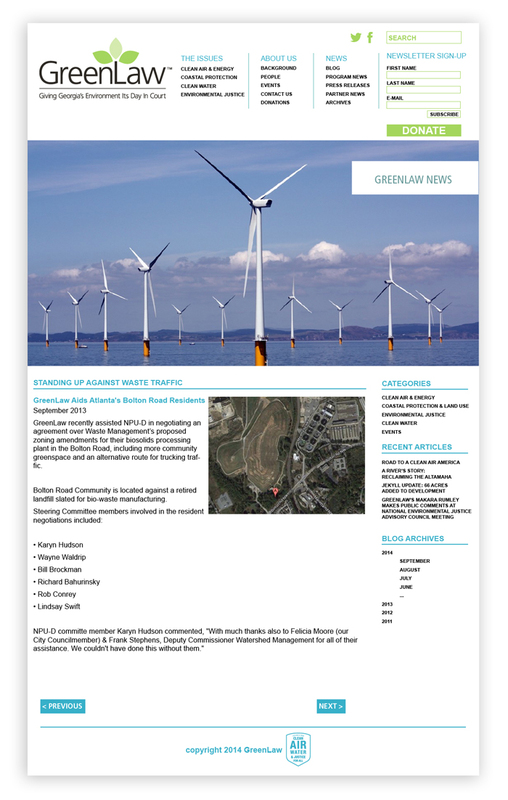 We worked to make the copy as readable and friendly as possible. Website Redesign: The original website was clunky, had a huge rotating carousel on the front and difficult-to-navigate menus. The areas of focus weren’t clear, and the donate button was in the wrong place—the donation page itself was a hard sight to see. We streamlined the content so it makes sense to someone visiting the site for the first time, and gave more power to people donating.